be paid to the supplier. The possibility of selling products without making a pre-payment and to pay the supplier on the basis of the sales generated from a period (for example monthly), saving costs in stock investment. It also allows you to create products under license and to pay royalties based on the sales generated. 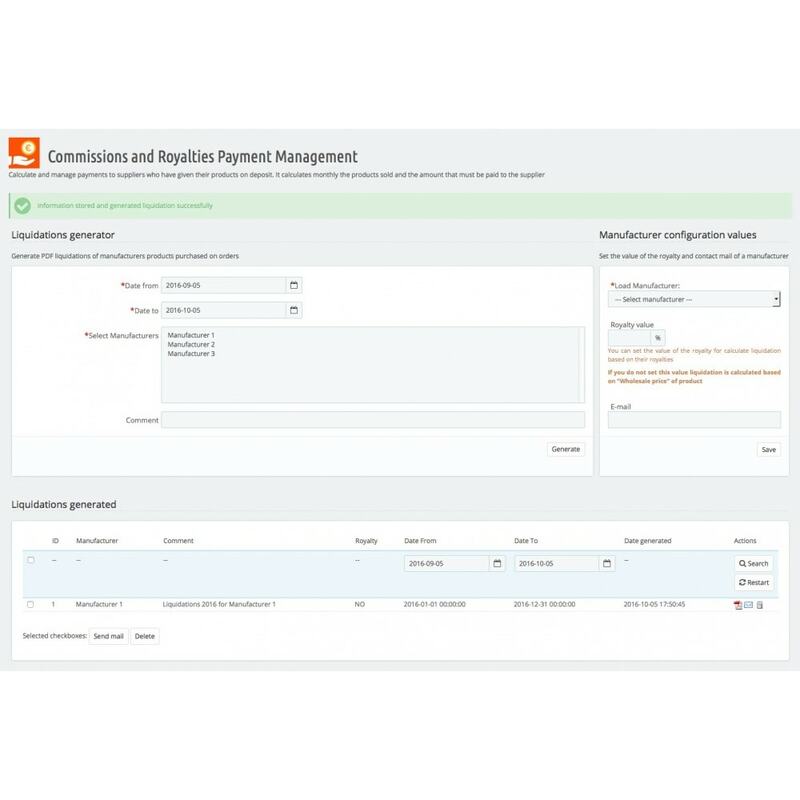 The Commissions and Royalties Payment management module facilitates all the settlement process of commissions autonomously and quickly. Possibility of adding royalties in percentage (%) per product from that manufacturer and an email address to which we will send the settlement in PDF format. Detailed settlements will be generated in PDF format, of the products from a manufacturer which have been acquired between two specific dates. In the settlement details, it will be calculated by the Wholesale Price ("Wholesale Price" on the product sheet) or by percentage of Royalty if the value in the management of the manufacturer is added. 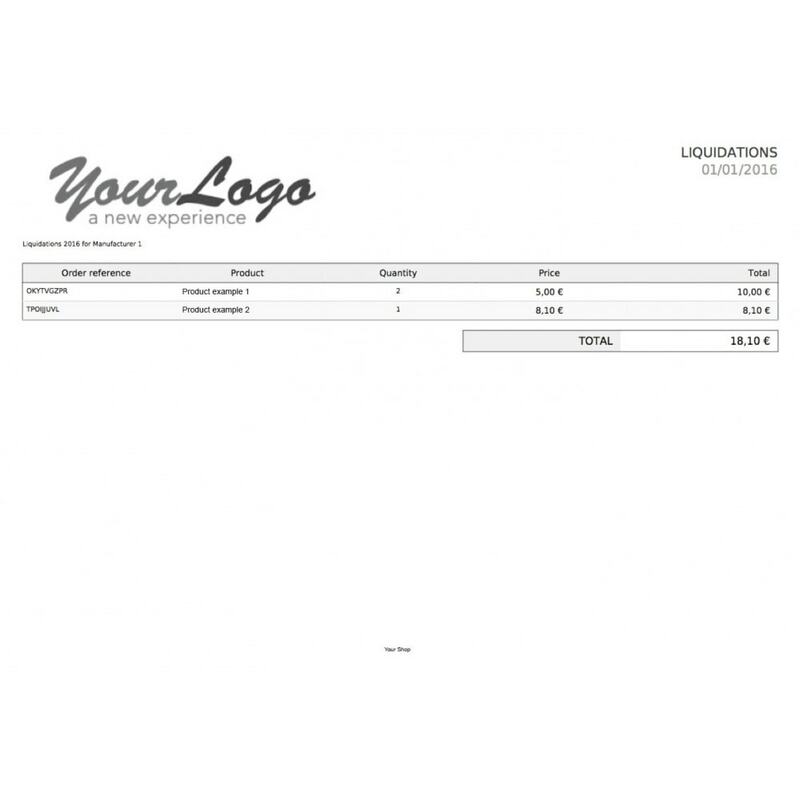 You can download a settlement generated or send it as an attachment by email to the manufacturer. Available in the following languages: English and Spanish. 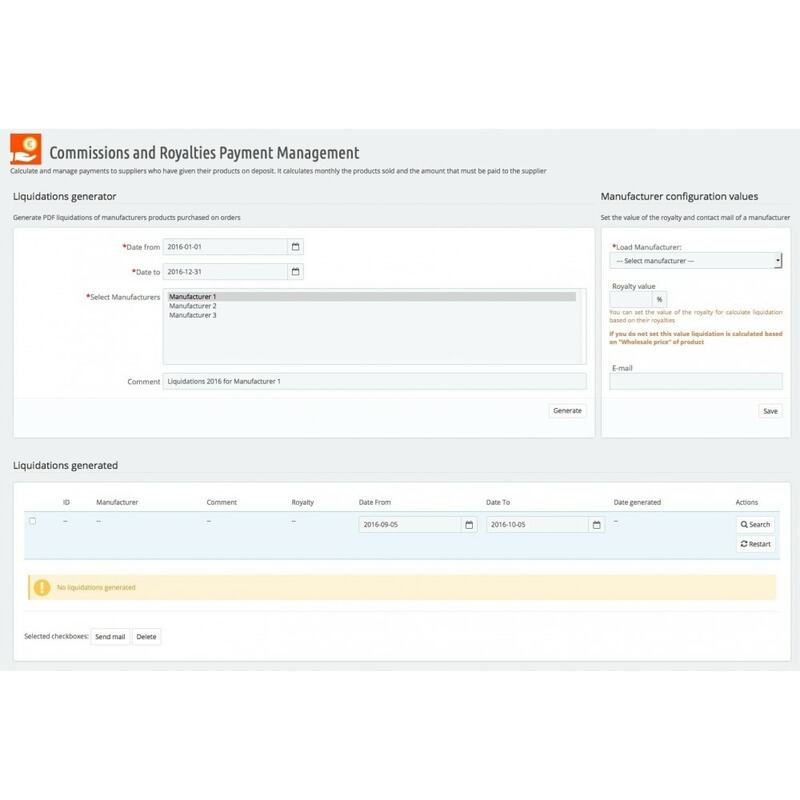 It streamlines the management of payments to suppliers of products on deposit and licensed products (royalty). The main folder of the module must be uploaded to the "Modules" root directory via FTP or upload the compressed file in the module manager, Prestashop. Once loaded and installed, enter in your configuration to begin to use the module. You have at your disposal in the "Documentation" folder, all the information necessary for the correct use of the module.